Making Decisions - Gut vs Data? Data collection and analysis are essential for success in modern rugby. 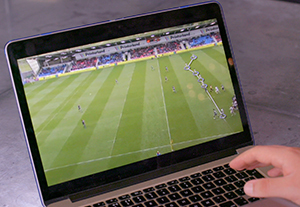 In many ways, the modern Premiership Rugby coach is like a CIO; harnessing data insights to enable them to make smarter and more informed decisions based on sound knowledge. Technology is evolving all the time allowing coaches to get even closer to the action. Fixed cameras and drones film training sessions and matches for review, and GPS devices in players’ shirts allow coaches to track the individual movements and exact distance a player has covered over the course of a session. With all the data now so readily available anywhere and at anytime, is there still a place for the gut instinct in modern decision making? Businesses face the same challenges. What lessons can be learnt from Premiership Rugby? Many businesses find it difficult to collect and process data quickly enough. In the same way that Premiership Rugby clubs have invested heavily in technology that will ultimately improve performance, businesses need to modernise their data collection and storage processes. However, having the right people to interpret that data is also essential to gain invaluable insights. Only then will the business leaders be able to unlock their workforce’s full potential, perhaps backing up the gut feel they already have about their team. As well as using data to track and improve their performance, clubs also use it to look outwards at the performances of other Premiership Rugby sides. Using high definition cameras, analysts glean keen insight on opposing teams' play and game strategies. Game day tactics are then developed based on a wealth of knowledge about the competition. Detailed and accessible data drives decisions that lead to wins. Having an outward approach to business intelligence is another lesson that business can learn from Premiership Rugby. By delving into the data processes used by top performers in your industry, your business can tackle data volumes with best-of-breed systems. By examining industry trends, as well as your own internal data, your insights turn into tactical advantages. 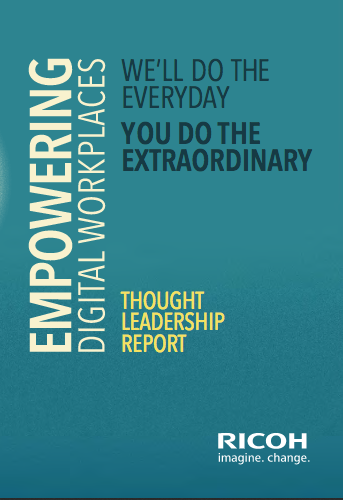 For more information on the use of data in business, download one of our insight reports opposite. How does taking control of data help your business reach digital maturity and realise the potential of your employees? Want to see our Rugby Change Series videos from the 2016/17 Aviva Premiership Rugby season?